Marketers know that it is getting more difficult to attract new customers. As a marketer, you always have to look for new ways and latest trends to make sure your marketing campaigns not only reach out to the most number of people but also influence their decisions. For this, marketers have to move away from traditional and easier one-size-fit-all marketing campaigns. 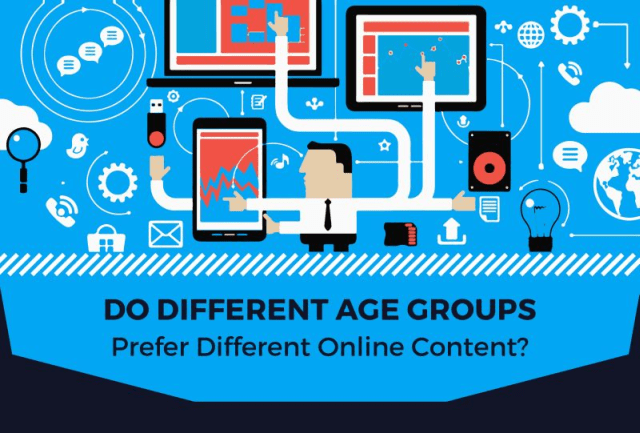 In the modern world, when every demographic has its own content, device, and social media preferences, you can’t simply use the same marketing content for each generation. The method of segmenting your audience and to design a marketing campaign according to the preferences of each age group is called generational marketing. According to HandMadeWritings, generational marketing helps marketers create content that develops a deeper association with their audience (check out the infographic made by HMW at the end of the post). Even though there are more than five generations based on their unique habits and preferences, marketers primarily target the two who spend the most: Baby Boomers and Millennial. What Makes Each Generation Unique? The first step is to find the unique habits and preferences of each generation, then customize your marketing campaign and content accordingly. For example, the use of technology is twice in Millennial compared to Gen X, and even more if compared to Baby Boomer. Similarly, Millennial is liberal and open to new ideas, while Gen X and Boomer are conservative and traditional. You can also identify a lot more unique habits, preferences and lifestyle to create tailored marketing content for each. How to Market to Baby Boomers? Baby Boomers is the oldest generation among the three. They are more traditional – they don’t use technology much – and respect values and morals. They are loyal customers if you can earn their trust. Here are the key marketing strategies that can help you win them. Market your products as a brand and concentrate on brand name. Show the Boomers that your products are of high quality and they can trust your products and brand name. If you are targeting boomers, you cannot leave out traditional marketing sources like TV, print media, magazines, etc. When more and more boomers are adapting to latest technology and modern devices, the large portion still gives equal importance to traditional marketing and sales tactics. Millennials prefer in-depth long content, but not baby boomers. The preferred blog post length for baby boomers is 300 words as they take the most time to consume content. Boomers are approaching retirement or already living a retired life, but they spend almost half of the all consumer expenditure in the United States. According to a report by AARP, over-50 crowd spend $3.2 trillion a year. And they don’t spend on cheap products – they prefer buying premium quality stuff. How to Market to Millennial? Millennials are considered as the largest generation of entrepreneurs, born between 1981 and 1999. They have started spending on their families and slowly and gradually taking over boomers as the largest group of buyers. According to recent estimates, they spend around $200 billion a year, while the amount increases every year. They are more into online shopping and avoid in-store shopping. Millennials are not only more accepting to change, they actually love surprises and innovation. If your marketing campaign brings something new to Millennials and shows a new perspective on something traditional, they will be inspired by your business or product. They use screens – all screens. Reach them through desktops, tablets, smartphones, and even TV. This age group spends a lot of time in front of screens, and least time reading magazines or newspapers. If there is one generation that is heavily influenced by their peers, it is Millennial. They read reviews, online feedback, and explore ratings before they decide to buy something so make sure you have this covered. In addition, social media campaigns, Facebook ads, and loyalty programs are also some productive ways to get their attention. In the end, it all depends on how much you know about your target generation. If you have identified their preferences and unique personalities, you can find it easier to connect with them. Donna Moores is a savvy content marketer and a content manager at HandMadeWritings.com. She has gained an outstanding marketing experience within the biggest industries and businesses, which she pleasantly shares with the readers. Reach out to Donna on Twitter or LinkedIn. How to Create a Marketplace Website using WordPress (Step-by-Step Guide)?